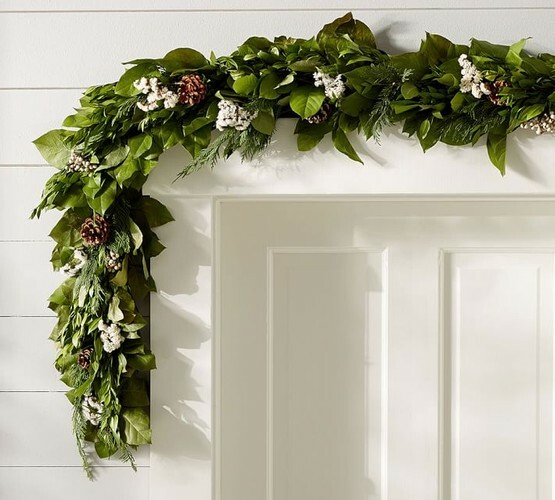 $65 per person to learn to decorate your home with an olive and gum leaf garland, with additional added Christmas decorations of your choosing, made by yourself. We will provide all the materials for you to complete a 1.5 meter long garland for you to take home and decorate with. Also included, for extra touches, are mini pine cones, twigs, Christmas decorations, artificial berries and more. The garland will last until Christmas day, or longer and you can place it around a doorway, across a fireplace or down the centre of your Christmas table. Drape it down a staircase or across a wall, the possibilities are endless. You will also leave with the skills to make more and easily turn your home into a beautifully decorated and styled Christmas theme, all designed by you. You also get light refreshments and nibbles. Classes will be held on the mezzanine.